Wine Country International: Wonderful wine books for the holidays! 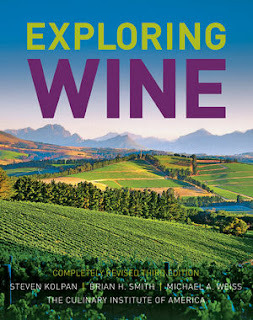 CIA's latest, completely revised edition is the ultimate textbook for wine education. Just shy of 800 pages, this book is an amazing resource for wine enthusiasts and professionals alike. You will need to eat your wheaties before attempting to pick up this book. But after reviewing its interesting chapters and scanning it's breathtaking photography, you will not want to put this book down.